​We started 2015 with a trip in Germany. We were all ready and set for B.A.C.K. 2015. A great competition with a perfect organization and super location - which was the same as the location from Tip's first World Championships back in 2010, and which will be the same for the EO 2015. We were competing against more than 250 other A3 Large dogs. Gunga and Tip managed to each have a few clear runs. Tip qualified himself, in the jumping course on Saturday, for the B.A.C.K. Finals. We ran a clear round but chose for a, which i thought would be faster, slower way in some part of the course. We lost some time but still managed to get a 5th place. Both of my dogs did a great job and they didn't have a lot of problems with the sand surface. 25th of January we had our first qualifications for the AWC in Italy - Bologna. 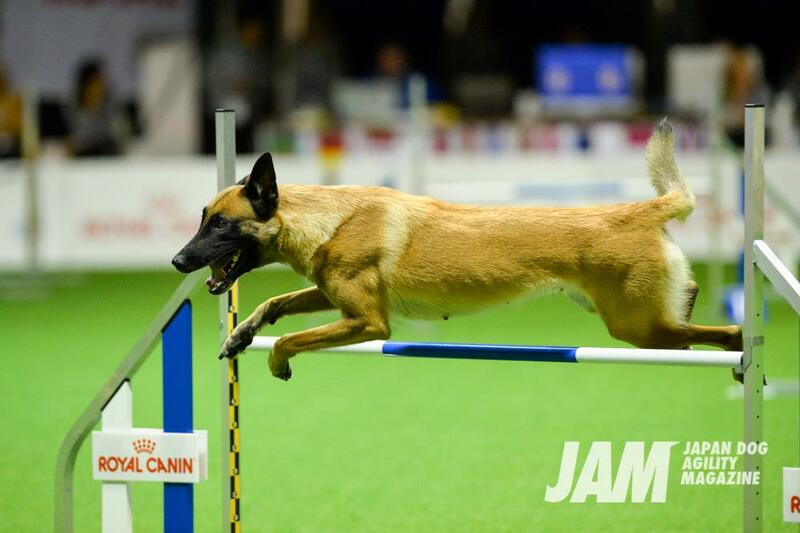 Gunga ran both qualification rounds clear and Tip got clear in agility but disqualified himself in the jumping course. Gunga took the lead after the first qualification - both of my dogs took a great start in this first of five qualification rounds. 4-5-6th of February we had our first seminar of the year organized by Isabella Stefl from Austria in DogMotion sport arena. 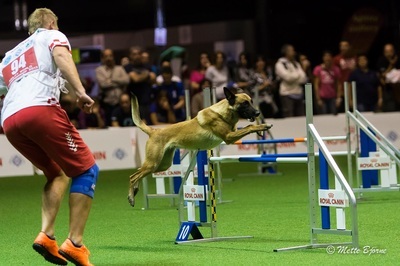 The seminar got followed by the first judging of the year, which also held place in DogMotion sport arena. I had the possibility to compete with my dogs after the judging. Tip won the jumping and had 1 mistake in agility with the best time. I noticed that Tip was finally back in good shape after having a period with ups and downs due to anaplasmosis. At the 1st of March we had the 2nd qualification round for the AWC in Italy - Bologna. Gunga again ran 2 clear courses and kept herself in the lead for the AWC ranking. Tip ran clear in Jumping and got a 1st place before Gunga who got the 2nd place. 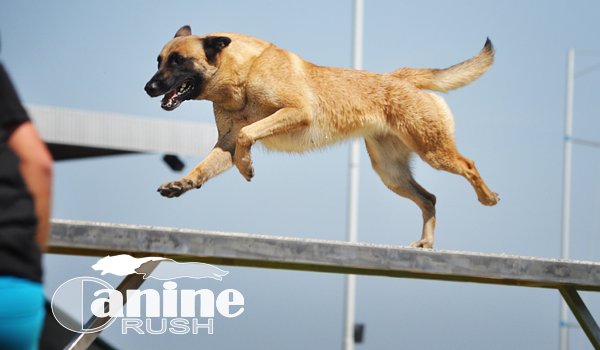 Gunga had some difficulties with developing speed due to small distances between the obstacles so she was not running her full speed. At the 8th of March we had a seminar organized by Sandra Mayrhofer from Austria. After a long time looking forward to this trip and new experience it was finally time to take my bags and travel to Canada. On Wednesday the 11th of March I took the plane to Germany where I had my next flight straight to Canada. It was my first visit ever to North America. It was supposed to start with seminars in the USA but seminars needed to be cancelled due to unexpected problems with Visa. I flew to Toronto where Gail Maidens picked me up and took care about me the next few days. We went to visit Niagara Falls - a nice experience to see the falls frozen and from so close. One other day Dante Camacho took me to some impressive aquarium in Toronto. After spending a few days to get to know Canada a bit more the real work/fun started. First seminar started at "Say Yes" - organized by the Canadian team management. Next 2 seminars were organized at Linda Barton's facility. It was a fun experience to show the handlers my European style of courses and handling. On Friday I got taken to the hall where the AWC and EO try outs would take place in the weekend. The competition organized on Friday was a fund raising competition for the Canadian AWC team. I was able to compete with Linda's Border Collie. We ran the best time but took - unfortunately - 2 bars down. On Saturday and Sunday I had the opportunity to judge the best Canadian teams. 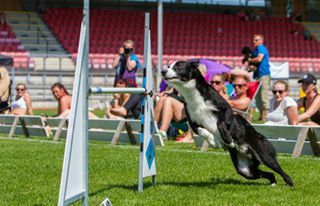 I saw really nice runs on my courses and it was a pleasure to see handlers with a very different handling style finishing the courses so well. Congrats to all of you! I had opportunity to train a bit with cool Summit. I had a great time and I'm already looking forward to go back. A big thanks to everybody involved in this new and great experience! Our trip to Canada finished and it was time to stay and teach in Europe during the Spring. We were traveling through different countries like: Belgium, Ireland, Austria, Denmark, Portugal and Sweden. Most of these trips were made to teach. We didn't have that much opportunity to compete because of the seminars. The only competitions me and my dogs were running were the qualifications for the European Open in Germany, the Agility World Championships in Italy and FMBB which was held in Czech. 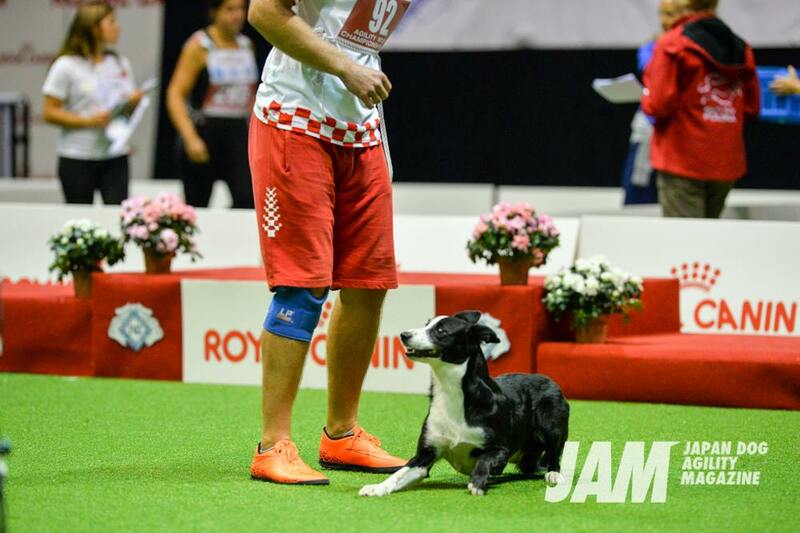 Both of my dogs did amazing at the qualifications. Gunga won the European open qualifications and Tip ended up on the 2nd place. For the AWC it was opposite, Tip won the qualifications and Gunga became 2nd. All together one more great qualification year for me and my dogs. When summer came we prepared for a long trip of 10 weeks being away from home and traveling by car. 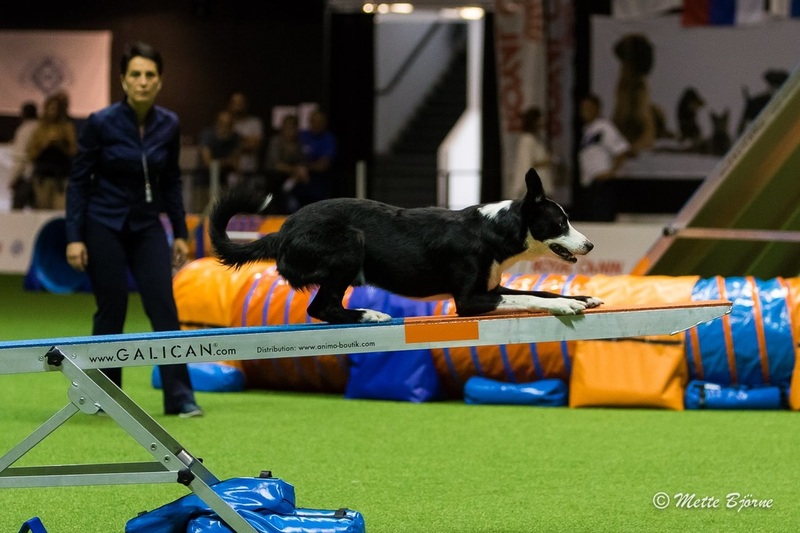 We started with a seminar in Austria and continued to Sweden for some more seminars and competing + judging at Guldagility - which is definitely one of my favorite competitions of the year. It was great and even better then last year. There were 9 rings, 1000 dogs placed on a great location with amazing people and atmosphere. The qualifications at Guldagility went great. Tip got a 1st place in the first qualifying run (jumping) and Gunga a 2nd place out of a big number of dogs. After Guldagility we continued our trip in Sweden and headed of to Jenny's traditional Summer Camp. 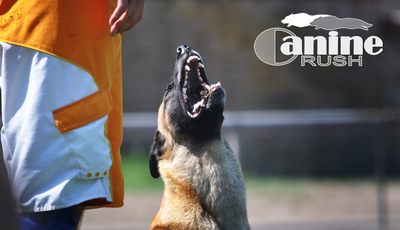 Perfect organization with many great international handlers coming over. After our trip to Sweden we went travelled our way back to Austria for some more seminars and judging. It wasn't the best experience since it was 38-40°c during the day. Luckily they were able to organize the seminar indoors, otherwise I would have cancelled because it would be to hot for the dogs - in my opinion. 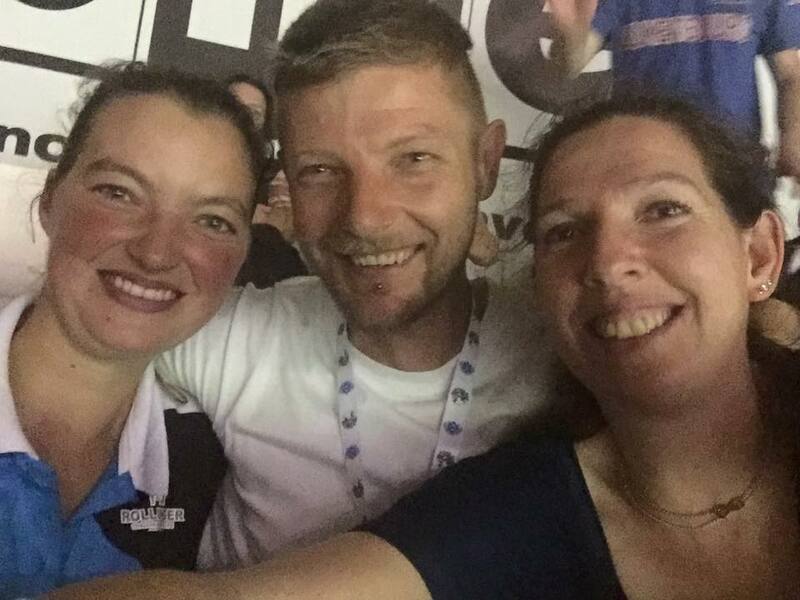 Finally it was time for the European Open in Germany which I looked so much forward to. The event was organized at the same location as BACK which we were running in the beginning of the year. My dogs did very well on the sand surface back in January so we didn't need to worry about that. Although we noticed this time the surface to be softer then the surface they had inside the horse riding hall back then in January. It was much harder both dog and handler to run. Anyway, Gunga and Tip were running really good but did their best rounds in the "wrong" courses. They did great in the team runs but we lost our luck in the individual runs. Both of them had bar drops which is unusual for them. Because of this unusual mistakes we didn't reach the final. While running with Gunga, I twisted my knee in the middle of the course - which made me decide to finally let that be fixed. ​After the European Open it was time for even more fun! I had a GREAT time in Luxembourg while teaching and judging. It was my first time ever to be present at Agility by Night. I was there to judge and like always I have to say that I like these "crazy" people. 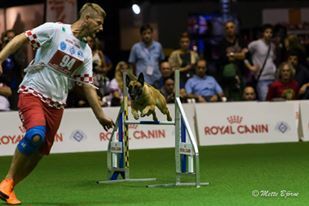 Their enthusiasm for agility is amazing and they are one of the best organizers. It sure was a special experience to have a competition in the night where I judged - partied - judged again. After Luxembourg I got the chance to spend a few days at home but not much later it was time to head off again. We started our trip to Canada, for the second time that year. It was again so much fun to teach and to enjoy the nature over there. I missed my dogs and we only had a few weeks left till the AWC, so it wasn't the best idea to travel without them since it would be very useful to train with them just before the event. After Canada I had my - believe it or not - first ever seminar in CROATIA! 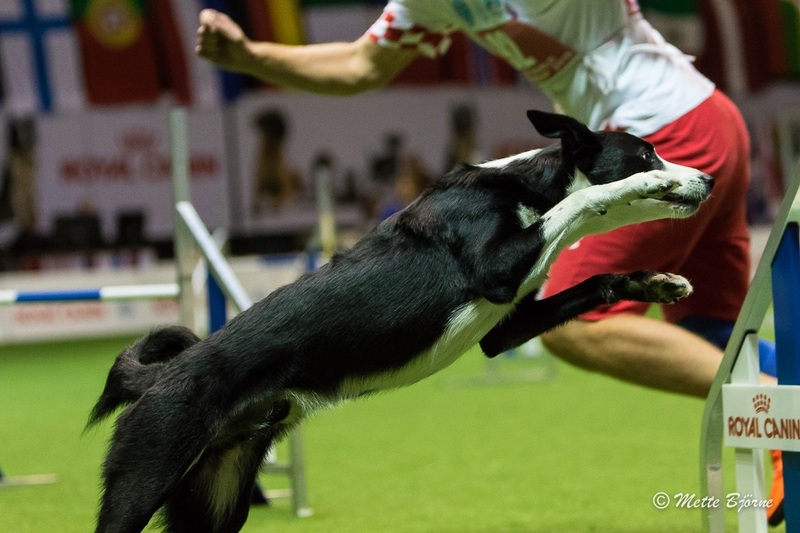 It was really cool to see people interested to do more agility in Croatia. So I can only hope more of them wile start to do it. Even though AWC was getting closer I didn't have any feeling for it. Since we didn't compete that much in 2015 I decided to go on one competition before the AWC to train some contacts. It was a positive and negative decision. Great to train the contacts but Tip had a small accident on the seesaw. No injury, no limping, nothing. But I have the feeling it must have caused something as he wasn't running AWC like he usual runs. He was jumping strange and his times were quite bad. So as usual I got worried. He behaved totally happy and didn't show anything wrong out of the course. I took him for a check up and the chiropractor said he was a bit sore on his left shoulder. She fixed that but it looks like there wasn't enough time for him to recover completely. 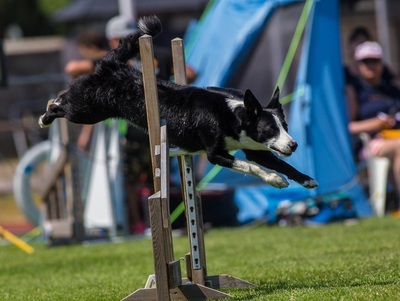 Gunga had nice runs, especially in the final agility where she had on of the best times - with an unfortunately missed RC dogwalk contact. I was super happy with her run, even if she missed the dogwalk. We aren't using the RC that often on competition so it wasn't the biggest surprise for me. After England we had our last seminar of the year, in the Netherlands. It was my most painful seminar ever, since my back hurter so much the day before I couldn't get up from the bed. But with agility and motivated people I was able to survive it :) ! Back to Croatia for the final of the Croatian Championships. Not the best runs but still good enough for Tip to stay in the lead and to win it ! Great end of the year !! ​2 weeks after that it was time for my operation. until the last moment I was hoping for only arthroscopy and only meniscus to be fixed. The Doctor would decide to check the ligaments after opening the knee and to fix ACL or not. The injury was so bad that he need to operate ACL. So the first thing i heard after waking up was that i needed 6 months to recover. So no competing for 6 months ! ( I hope I will be able to come back after 4! ). It will be a long and hard period for me. We can spend our rest time useful by teaching my dogs more distance handling.